Lampooning West End musicals was the staple diet of West End revue from the early 1920s until revue died in London in 1966 following the arrival of Jonathan Miller, Dudley Moore, Peter Cook and Alan Bennett in Beyond the Fringe. The one place you could still see review was in New York. Forbidden Broadway opened in 1982 and Gerard Alessandrini has been lampooning Broadway musicals, plays and its stars ever since. He would take the hit songs and rewrite the lyrics. Constantly updated, Forbidden Broadway was a real treat for anybody who loves send-ups of lots of musicals in one go. This time he has decided he wants to skewer just one musical. 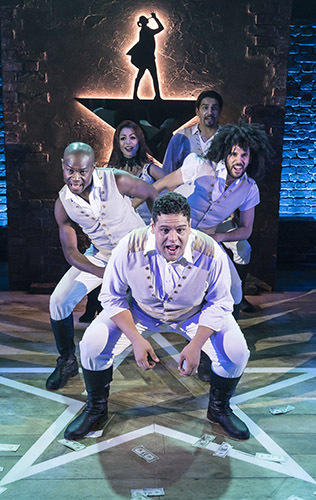 The songs and the rap are sung and rapped so fast that even people who have seen Hamilton, let alone people who have not, could easily miss a lot of his wit. I wish I had had a text to refer to when I came home. 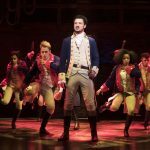 It is said in New York that seats for Hamilton are so hard to get and so expensive that many theatregoers are opting to see this spoof instead. Seats are expensive in London too. But is there any point in seeing Spamilton if you have not seen Hamilton? 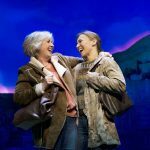 To enjoy the show you really do have to be a musical buff because there are so many references to other Broadway shows and recognising them is part of the fun. Spamilton is not a musical in the sense that Sandy Wilson’s The Boy Friend (1954) and Dames at Sea (by Jim Wise, George Haimsohn and Robin Miller in 1966) are musicals with a strong story-line parodying musical genres. Spamilton is much nearer to revue than it is to musical. 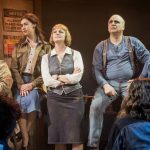 There is a very talented ensemble at the Menier and there are excellent performances all round from Marc Akinfolarin, Jason Denton, Eddie Elliott, Liam Tamne, Julie Yammanee, Sophie-Louise Dann and Damian Humbley. Gerry McIntyre’s choreography, amusing parodies in their own right, is an essential part of the production’s success. 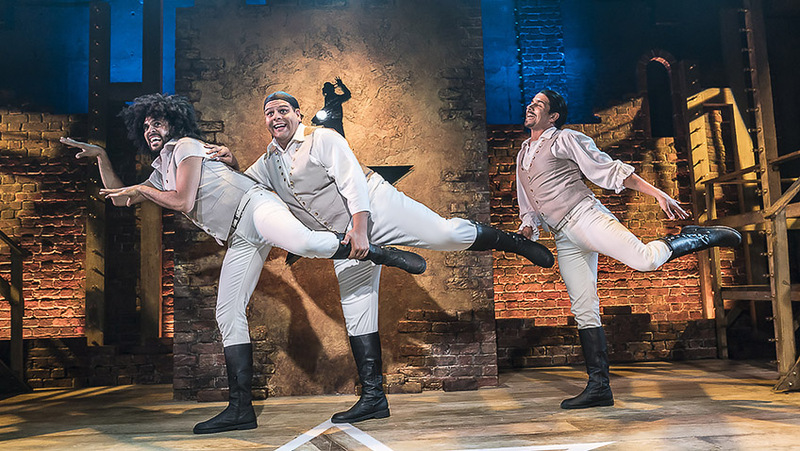 Spamilton is acted straight through in 90 minutes without interval and is perfect light entertainment for show biz lovers on a hot summer’s night.